In 1870, a faction of the Republican Party in Missouri bolted because it felt that the Republican Party was being too vindictive in its treatment of former Confederate sympathizers. The group called for a repeal of all legislation which “discriminated” against ex-Confederates. In the election of 1870, Missouri’s Liberal Republicans (with the support of state Democrats) elected B. Gratz Brown Governor and won two of the state’s nine seats in the U.S. House. Following this dramatic victory, a movement began to take the party to a national level. A nascent LRP had existed in New York since 1870, when four candidates contested races for the U.S. House there. 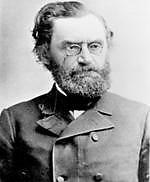 Carl Schurz, a U.S. Senator from Missouri, began to travel throughout the nation, urging the creation of a new national party which addressed the issues of concern to the average person [e.g., his speech in Nashville TN was covered by the New York Times on 9/21/1871]. 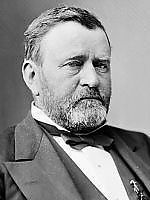 One month later, the St. Louis Republican stated in an editorial that since the Democratic Party had no contender who could defeat President Grant in 1872, the Democrats should not offer a candidate but should allow the Liberal Republican Party to field a candidate [New York Times 10/17/1871]. The immediate names raised as presidential material included U.S. Senator Lyman Trumbull (R-IL), Charles F. Adams, and U.S. Supreme Court Associate Justice David Davis. In 01/1872, the Missouri State LRP convention called a national convention of the party to be held in Cincinnati. Publicity for the convention was managed by four newspaper editors who came to be called the “Quadrilateral”: Horace White of the Chicago Tribune, Murat Halstead of the New York City Tribune, Henry Watterson of the Louisville Courier-Journal, and Samuel Bowles of the Springfield MA Republican. Throughout the spring of 1872, state affiliates sprung up and began to appoint delegates to the national convention. T. Stanley Matthews OH U.S. Sen. The delegates gathered in Industrial Hall (also called Exposition Hall) in Cincinnati. The day before the convention opened, it appeared that the delegates were shifting strongly towards David Davis. The Quadrilateral conferred and ran a series of editorials against Davis on the morning of 5/1/1872 in order to persuade the delegates to avoid him. U.S. Senator Francis P. Blair (LR-MO) also took a train to Cincinnati to lobby the delegates against Davis. Platform On the second day of the convention, a platform of 12 planks was adopted: 1. Recognition of the equality of all men. 2. Maintenance of the Union and the Reconstruction constitutional amendments. 3. Immediate repeal of laws against ex-Confederates. 4. Local self-government. 5. Ban on presidential second terms and reform of government appointments. 6. Federal taxation system to reduce the national debt. 7. Strengthening the national credit. 8. Return to specie payment. 9. Defense of veterans. 10. Ban on grant of land to railroads. 11. Dealing truthfully and fairly with foreign governments. 12. Men of all parties invited to join the LRP. 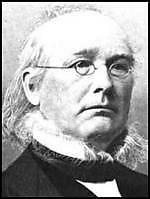 After Horace Greeley was declared to be the winner, the convention proceeded to ballot for a candidate for vice president. B. Gratz Brown was nominated on the second ballot. Carl Schurz gave a short speech, and the convention adjourned sine die. The LRP faced serious challenges in its single campaign for office. 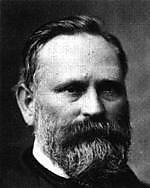 Many early leaders of the LRP did not support Greeley; some of them assembled later in New York City and nominated William S. Groesbeck OH for President. Groesbeck withdrew from the race after Greeley also received the Democratic nomination. In the fall campaign, anti-Greeley Democrats faced three choices: vote for Grant, vote for O’Conor, or not vote at all. In state races, the Democrats and Liberal Republicans fused except in TX and LA. After their major defeat at the polls in the fall state elections and the general election, the LRP immediately disbanded.